Wired highlights a theme I’ve been considering for a while now and that’s how computing has changed … and we probably haven’t even been to paying too much attention. 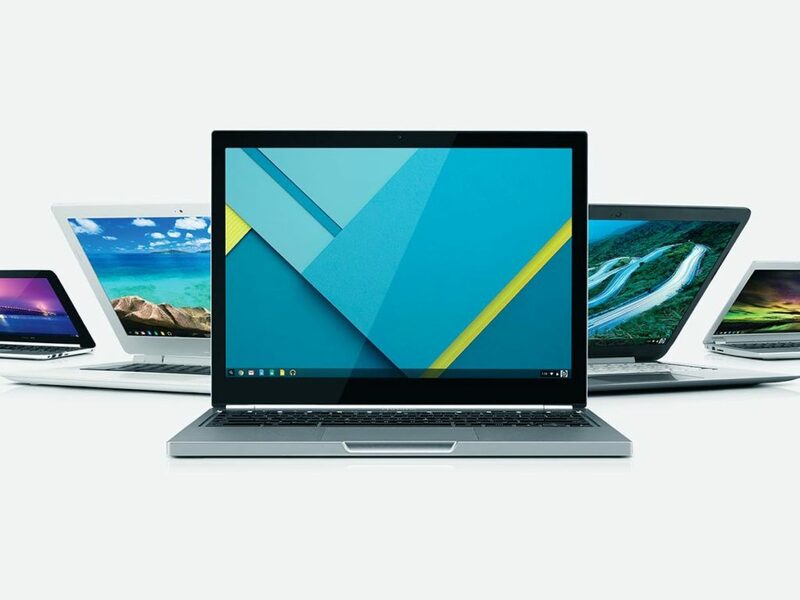 At home, we’ve been doing the chromebook thing and at first I considered them to be the low powered machines that they are, but frankly they are more than sufficient for pretty much anything we throw their way. They are (generally) cheap enough that when the kids destroy them it’s considerably less catastrophic compared to a Mac. I’ve been exclusively using a Chromebook (Dell 13) since the summer for just about all my home / personal computing needs. It’s a fantastic way to read and write and if you find yourself working in the knowledge management / creative ideation space these devices make a ton of sense. Hopefully within a month or so this device will get the Android update which will suddenly open up a pretty massive universe of opportunity. With the apps I already love and use on my phones coming over to a laptop form factor, I’ll be able to do even more. Obviously the lack of apps as we consider them from a phone or standard laptop pov makes a ChromeBook look weak by comparison, but even on the MacBookAir I’ve used for years at work, I find I’m in Chrome (multiple windows with countless tabs, many pinned for standard use) and Outlook. If we had been using Google for Work instead on mail and calendar, I’d been able to get away pretty much with Chrome. So … essentially I’ve been carrying around a $1K Chromebook already. This though as Wired points out is really just the beginning. We are about to see quite a few new experiments and designs taking into consideration a very new set of capabilities … and contexts that were not previously possible. When Google decided to integrate Android apps with Chrome OS, Perez and his team combed through the documentation. “We wanted to make sure we were ahead,” Perez says. “It’s really easy to change a web app, it’s really hard to change a laptop.” Google now strongly recommends—which is a lightly-veiled warning that it’ll be mandatory soon—that every Chromebook include GPS, NFC, compass, accelerometer, a fingerprint reader, and a barometer. Those are all smartphone parts that have made little sense in a laptop before. But Android apps are inspiring manufacturers to make devices that move, that adapt, that take on different forms in different contexts. Now all this brings me to today … I’ve got a great device in the Google Pixel C. There are some interesting rumors floating around that while it was allegedly supposed to be a Chrome device (Pixel vs Nexus branding) we may actually see it get a retroactive OS switch or perhaps an option to flip it. I’d love to see this go down. The Pixel C is actually a great device and I enjoy running Android on it … but having Chrome OS really speaks to me as it would feel even more substantial. I’ve read there are perhaps some technical challenges with what’s inside the device to make this truly possible, but for now it’s an exciting proposition … and in the longer term it’s likely some very cool new devices are coming as well.